A teaching guide is in progress. The guide will include background and suggested subjects, questions and activities. 1. 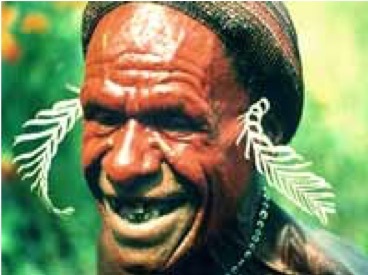 Knasaimos People, Serimuk, West Papua, Indonesia The Knasaimos, deeply affected by illegal logging, gain greater control of their land. The Knaisaimos were severely affected by the illegal logging trade. This trade destroyed the livelihoods and social structure of their villages. A recent government enforcement action has since clamped down on this illegal logging. The film highlights the success of the enforcement and examines how the local communities will benefit from an increased share and control of their ancestral forestland. Affiliated NGO: The Environmental Investigation Agency and Telapak have worked with the Knasaimos people since 2002. The two NGOs exposed the rampant illegal logging in the area that led to the government enforcement action in 2005. This work is part of their global campaign to promote ideas and distribute information to improve forest policy in Indonesia and throughout the world. 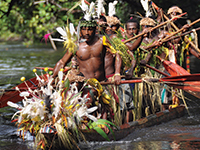 They have since been initiated into the Knasaimos Tribe and continue to help them decide their future. 2. Dayak Meratus. Meratus Mountain Area, Kalimantan, Indonesia The Daka Meratus, threatened by logging, mining and oil palm plantations organize cooperatives and seek legal recognition of their rights to the forest. Dayak Meratus communities have created cooperatives that protect local resources and develop business institutions. The communities use non-timber forest products such as rubber to generate sustainable livelihoods. However, the encroachment of private businesses on the local forestland for large scale plantations, mining and forest concessions threaten their way of life and have forced them to respond. Affiliated NGO: Since 1998 Lembaga Pemberdayaan Masyarakat Adat (LPMA) have helped strengthen the Meratus Dayak by maintaining their indigenous forests. This work assists the Dayak in managing their natural resources, restructuring indigenous institutions and community law. The Dayak have become financially self-sufficient and with LPMA they are now seeking legal recognition of their traditional land rights. 3. The Forests of South East Sulawesi Konawe Selatan, Sulawesi, Indonesia Forest communities in Sulawesi create Indonesia's first sustainable logging cooperative, but endemic corruption could undermine their success. Local people develop a sustainable community based logging cooperative. The land was purchased by the community and is farmed for teak. The cooperative is the first in Indonesia to achieve Forest Stewardship Council (FSC) certification for sustainability. This has helped to regulate timber production and secure fair prices. However, this logging program is under continued threat by Indonesia’s endemic corruption. Affiliated NGO: The South Sulawesi Forest Network Institution (JAUH) formed a partnership with the community logging cooperative Koperasi Hutan Jaya Lestari (KHJL). Together they have improved forest management in the region and achieved FSC certification for the timber KHJL produce. JAUH continue to work defending the cooperative in the face of renewed pressure from the illegal timber industry. 4. Indonesian Civil Society Members of Indonesian civil society travel to Brussels to urge European countries to create better laws for combating illegal timber entering the European Union. A West Papuan tribal leader accompanies the delegation and presents a speech on behalf of his communit, who have suffered directly from the impact of illegal logging. These meetings and the continued work of Indonesian civil society has meant that they have now been officially recognised as an integral part of the negotiations between the EU and the Indonesia government on illegal logging. Affiliated NGO: Since 1999 the Environmental Investigation Agency and Telapak have been providing training to a network of grass roots non-government organizations in Indonesia. This project has significantly enhanced the ability of local organizations and communities to ensure their voices are heard globally using video, photography and evidence gathering techniques. Their work has also involved taking these NGOs to lobby consumer countries importing illegal Indonesian timber. 5. Bukit Lawang North Sumatra, Indonesia Illegal logging in a national park in North Sumatra triggers devastating floods. Could voluntary controls and increased tourism help to preserve the forests that the community relies on? 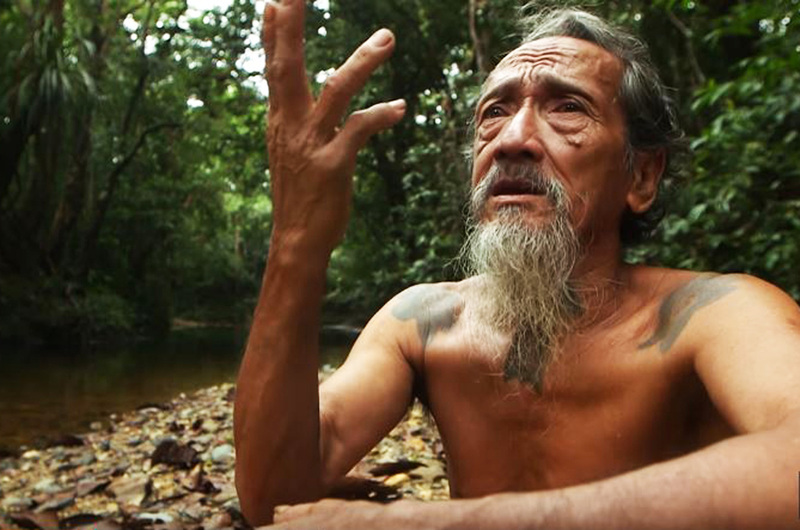 The film is based in Bukit Lawang where devastating floods caused over 239 deaths in 2003. The flooding was attributed to illegal logging in the surrounding Gunung Leuser National Park. Since the floods this community has been involved in voluntary forest governance and enforcement schemes in an attempt to curb the ongoing problems of illegal logging in the National Park. Also through the assistance of a local NGO, YLL, the community has started to recognise the important role of ecotourism in the preservation of their surrounding forests. Affiliated NGO: Medan based NGO, Yayasan Leuser Lestari (YLL), has worked to raise the profile of ecotourism in Bukit Lawang. Their work has also involved the tracking of court cases into the cause of the flooding. They regularly conduct investigations into illegal logging in order to campaign against forest destruction and land conversion. "Who will stop this madness of climate change, if not us, then who, if not now, then when?" --Yeb Saño, Filipino climate activist. 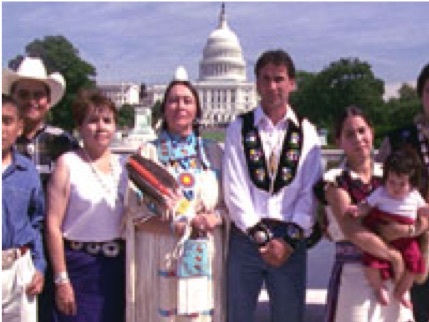 "If not us then who" is the general title of a project by Hancrafted Films that produces films about indigenous peoples and their efforts to protect and conserve forests globally.